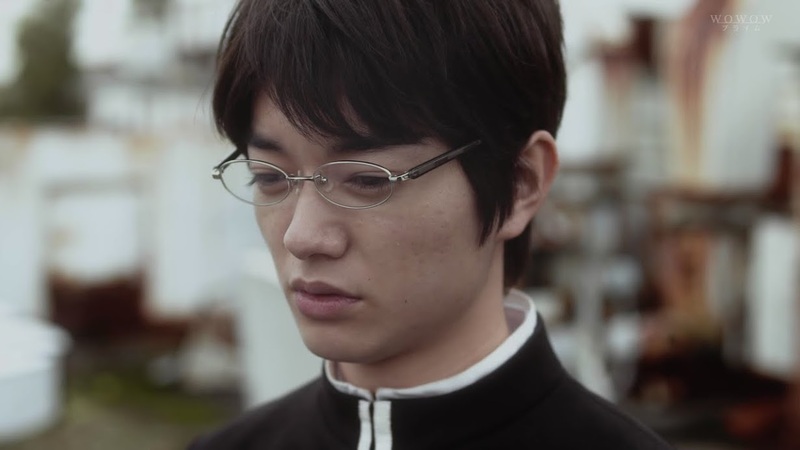 It’s sad to think there’s only two more episodes left of xxxHOLIC live action. Even with some flatter episodes, it’s still darn good, which is surprising given that each episode is only allotted 30 minutes. 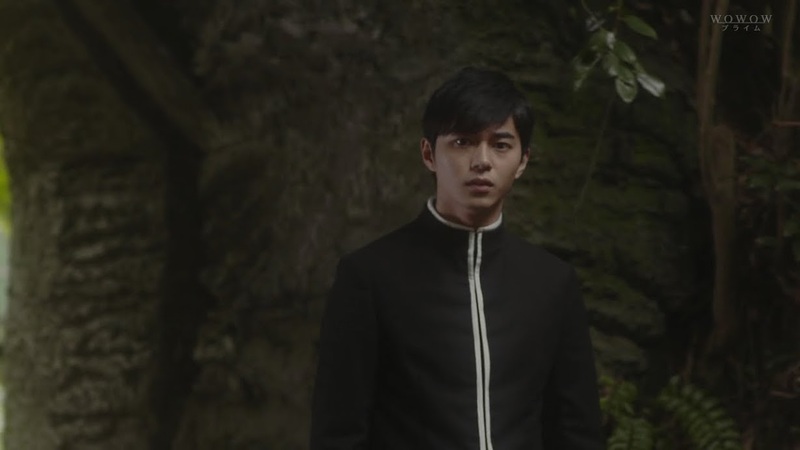 We open with Watanuki wandering in a misty forest. 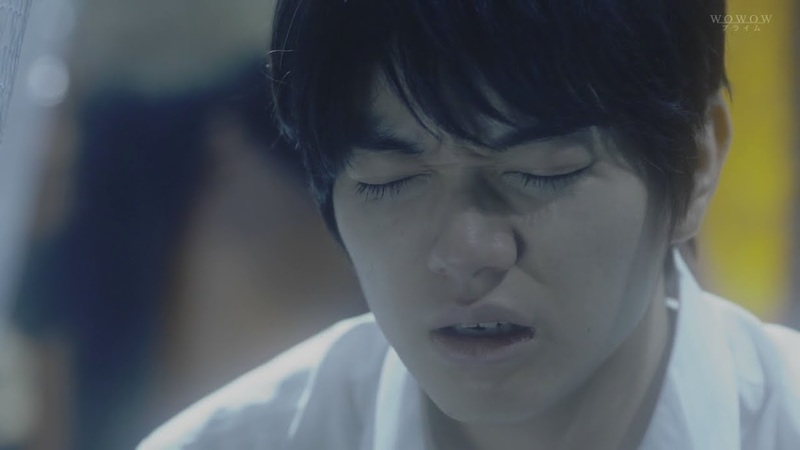 He catches sight of Yuko’s couch as he recalls his last words to her. He has finally realized he has the choice to help people with his gift. 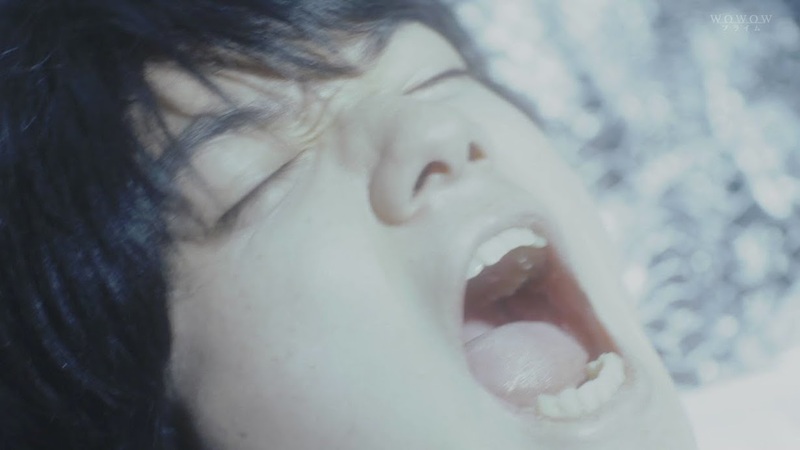 He then flashes back to Yuko dissolving into butterflies and he screams on the couch. 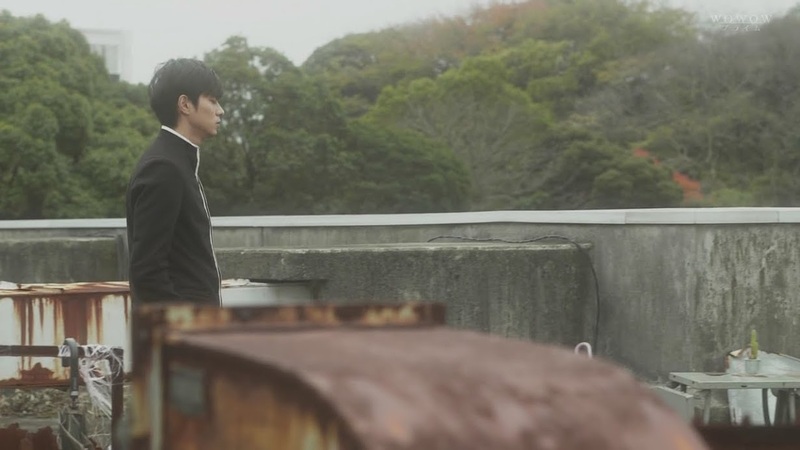 Watanuki then bolts awake on his usual rooftop haunt. Was it all just a dream? He then has a sharp pain in his head. Meanwhile at the shop, Maru and Moro stand like two silent statues and Yuko’s couch is empty. Was it just a dream or did she really just disappear? Himawari’s usually chipper appearance is gone—so are her usual pigtails. She looks behind her and notices Watanuki’s approaching form and quickly walks away in the other direction. This surprises him. In the classroom, he hands Himawari back her hair ribbon and thanks her for her help. He also has made her lunch as repayment. Himawari thanks him but says that is not necessary any more since they should no longer be friends. What is that supposed to mean? Himawari doesn’t wish to see him any more. She goes to leave and Watanuki stops her and apologizes before letting her go. 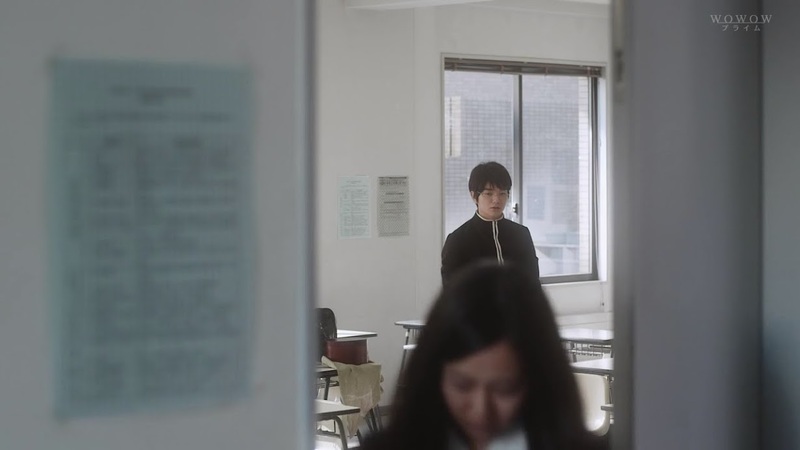 He then picks up her hair ribbons that she left behind while Domeki stands sadly outside the classroom. Later Watanuki paces back and forth in front of a fence. He smiles to himself, but it quickly fades. He then experiences another sharp pain in his head. He turns to look and sees an open door. He approaches it and there is a giant spider web. Watanuki reaches out his hand and touches it. Another sharp stab of pain and then he flashes to a dark place where mysterious and huddled figures who cannot talk swarm him. His glasses get knocked off and he yells at them to leave him alone. A woman then flashes a compact and the creatures scatter. 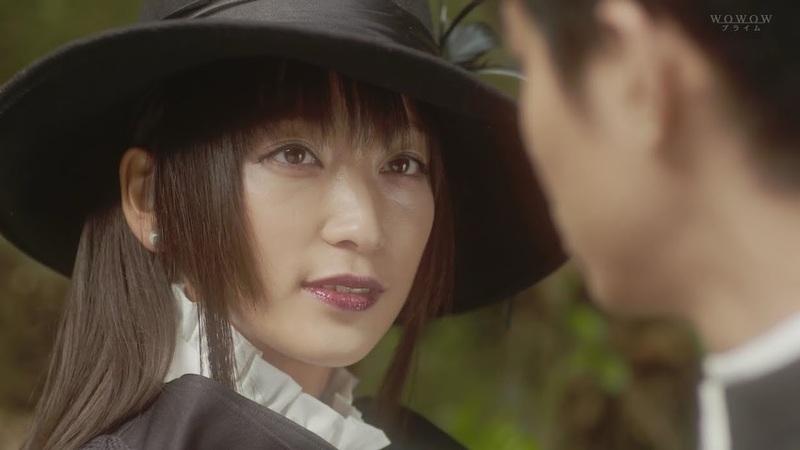 Watanuki follows Jorogumo to a place with women wearing black leather. 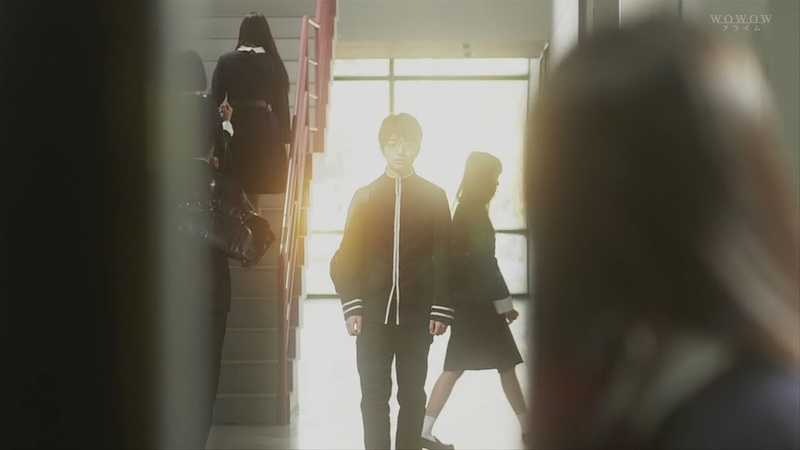 They surround Watanuki and take off his school jacket and unbotton his shirt part way. They they push him towards Jorogumo who tells him that he is fine just the way he is. 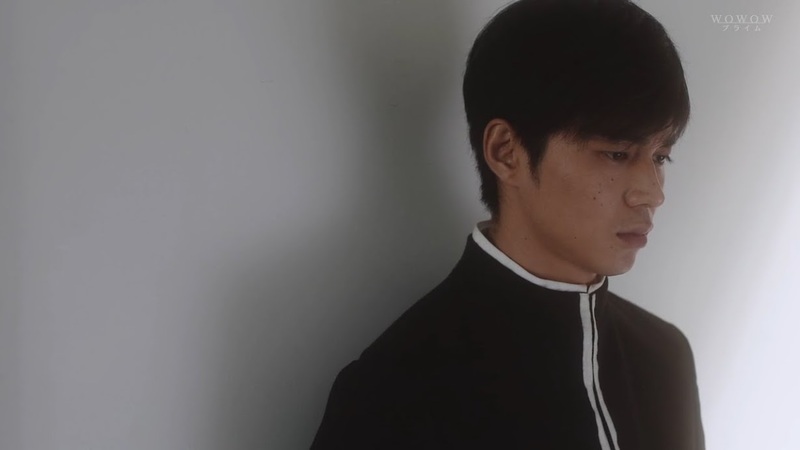 Watanuki recalls the last time he saw Yuko and experiences another sharp pain in his head. This is no good. What is? 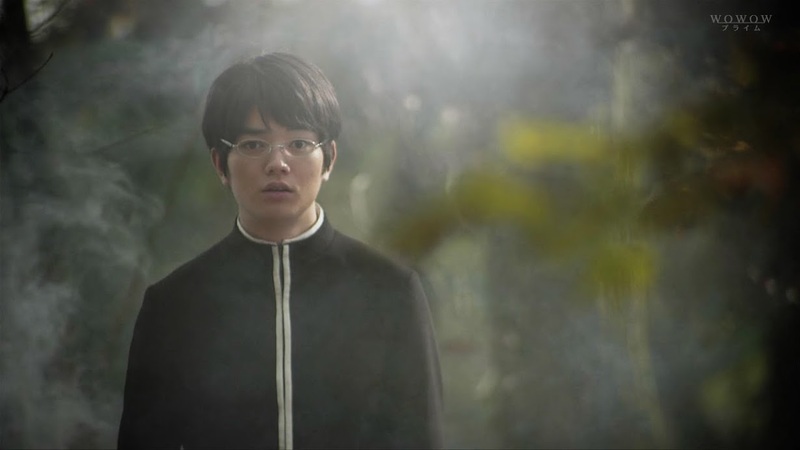 Watanuki looks up and urgently says that he must go back. The girls immediately block his escape as he turns to go. 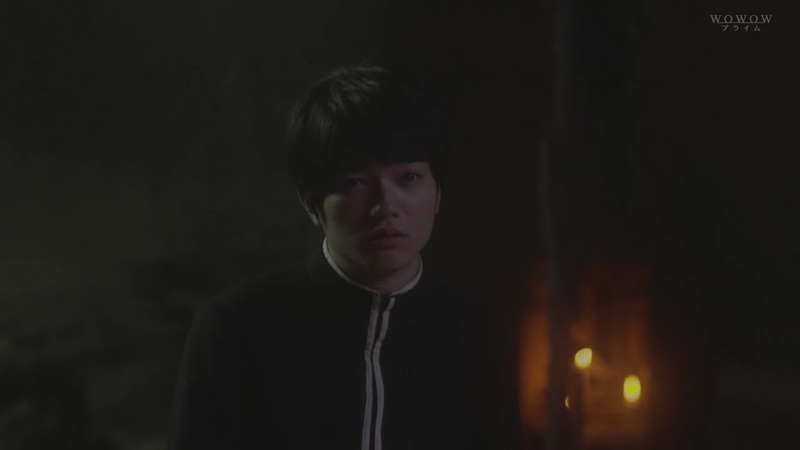 Jorogumo asks what will happen if he goes back—who is waiting for him? They didn’t accept him, so it’s okay to not worry about them, right? Watanuki recalls Himawari’s harsh words. 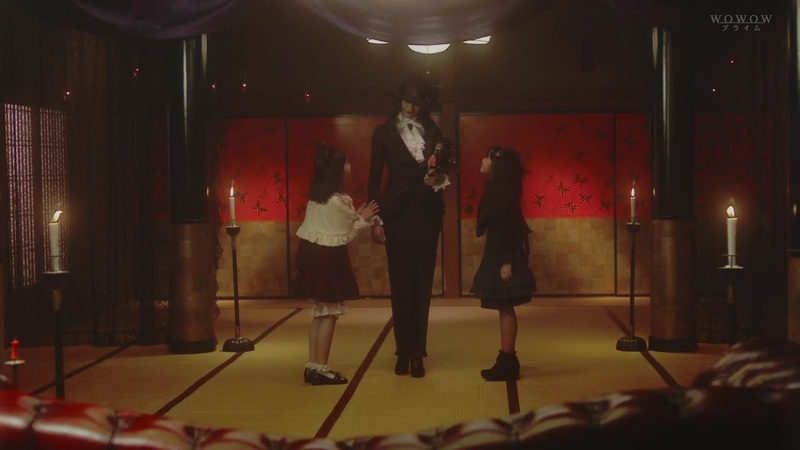 The girls then grab him and Jorogumo approaches him with a tiny goblet. Watanuki is forced to drink the liquid inside.Jorogumo then gets up close and personal and repeats again that he is fine just the way he is. Okay. Slight pause here. Whaaaaat the f(x) is going on? I mean, sure there was a bit of mature undertone with Yuko going on, but nothing this extreme. It seems so odd to have something like this after Yuko’s more tame teasings. It’s not necessarily bad, but feels like it doesn’t belong and is coming from left field…doesn’t it? 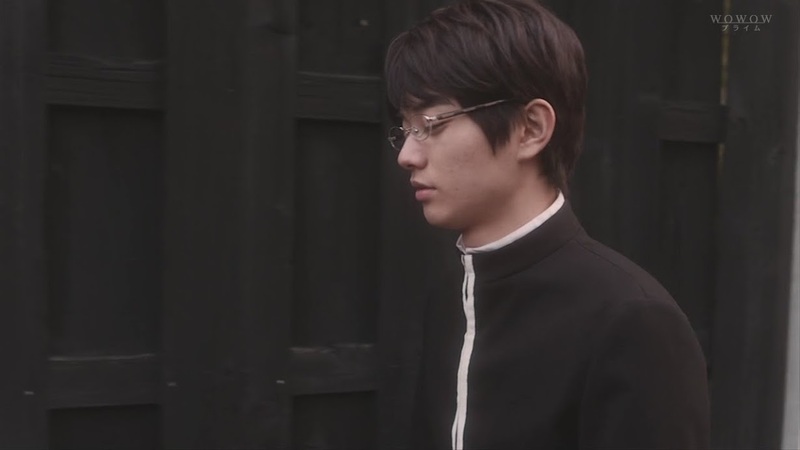 Anywho, we cut to Watanuki’s favorite rooftop where Domeki arrives and says he went to check out Watanuki’s apartment, but the landlord had no idea where our megane is. Domeki walks up to Himawari and says the only other place he can think of Yuko’s shop, but try as he might, he can’t find it. It’s been 10 days already, where is he? Himawari asks if its her fault once more. Isn’t that right? Domeki quickly says he did not say that. Himawari’s face crumbles as she doesn’t believe him. She said goodbye to Watanuki too late, didn’t she? She knew that this would happen. 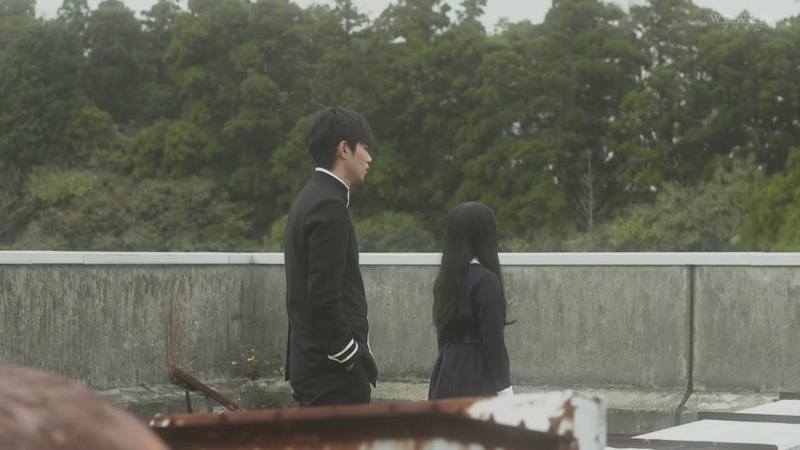 Domeki goes to touch her, but Himawari slaps his arm away and turns her back and asks where Watanuki is. Where is he? Jorogumo seems to be keeping him prisoner with her tiny goblets of some liquid as he’s in a very lethargic state. 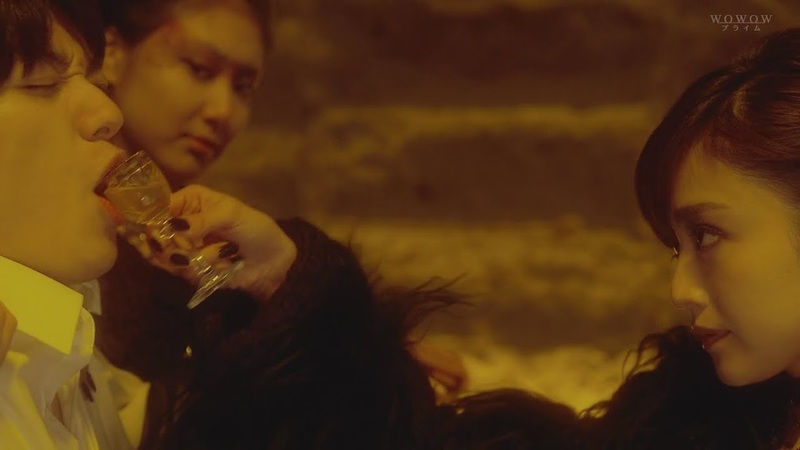 Jorogumo takes a drink of the goblet, too, and Watanuki wipes the liquid from her mouth. This makes her immediately draw back and Watanuki drops his hand lifelessly. Then our spider lady comes back and crawls on top of Watanuki. He has such clear eyes—she’s jealous. Watanuki replies that isn’t true, but she insists it is. His eyes look downright tasty. Jorogumu then bends in closer and Watanuki lifts his head as if to kiss her, but something makes the Jorogumo jump back. What does he have? Watanuki reaches into his pocket and pulls out Himawari’s hair ribbons. Why does he have them? 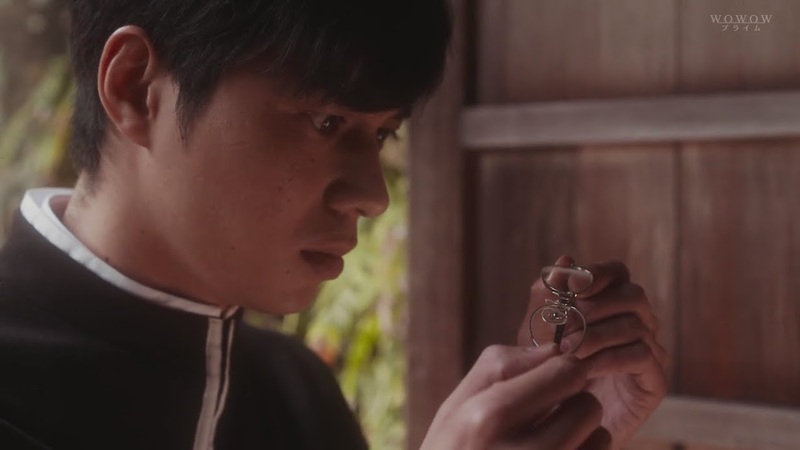 Jorogumo orders him to throw them away, but Watanuki can’t. Why not? He just can’t. Jorogumo smiles before turning to look at her writhing girls. See…this episode seems so “adult” after the high school hijinx of the previous episodes. Domeki is desperately searching for the shop when he steps in a puddle. 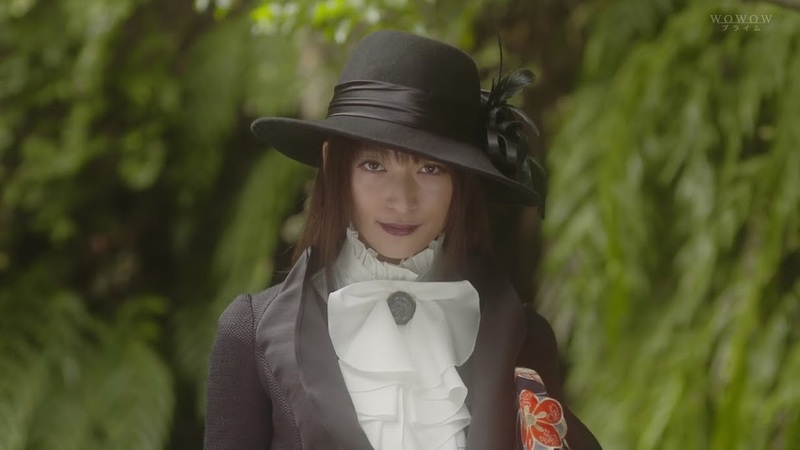 When he turns around there is Yuko dressed in a very…European?…outfit. This surprises our tall boy. Yuko then says she has to do many things by herself now that Watanuki doesn’t come to the shop any more. Domeki says he’s searched for her shop, but can’t find it. Yuko clutches her purse and says only those with a wish can find it. What does she mean? Yuko says that Domeki doesn’t need her help yet. 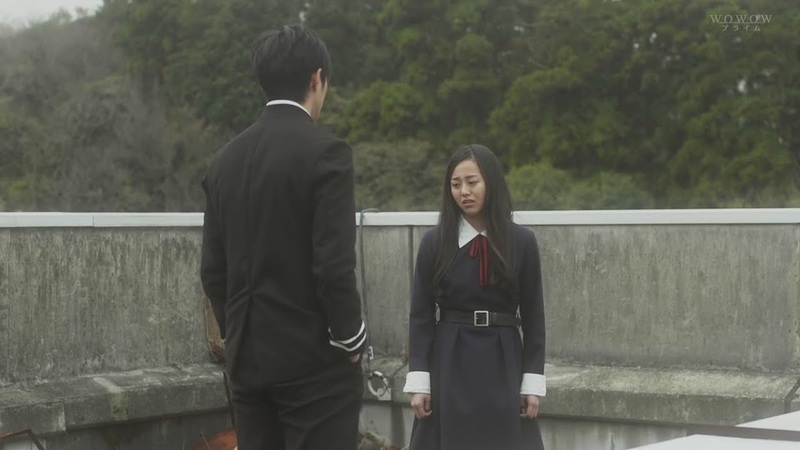 Domeki says he does wish to find Watanuki, but Yuko asserts that is something Domeki can do on his own as his tie with Watanuki makes it possible. She then tells him to listen. Her world is small, but people who know it may call it big. She also says that her world isn’t only for those who know about it. That’s all she can tell him for now. Yuko walks away. Domeki says her name and turns around, but she’s already gone. Maru and Moro happily greet their returned mistress. Yuko hands over her package and tells the girls to bring her water mirror. The girls unwrap the package and find a new mirror inside. 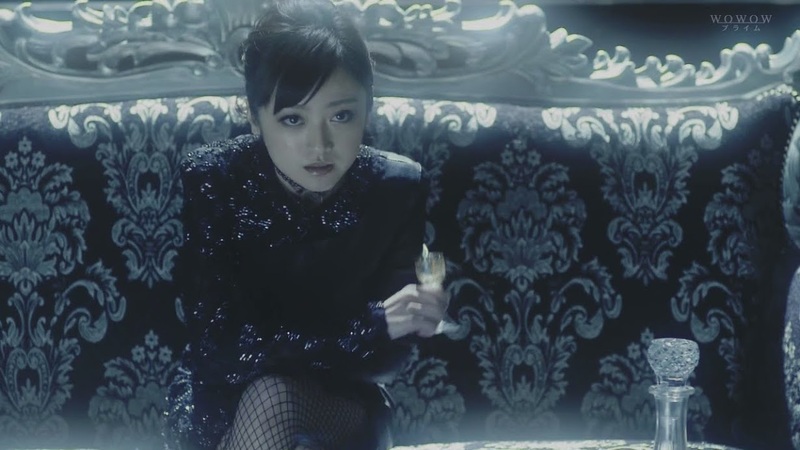 Yuko says that this is a much stronger mirror that will allow her to break through “her” veil. We then cut to the Jorogumo’s lair where Watanuki is being toyed with by her girls and constantly fed whatever the liquid is. 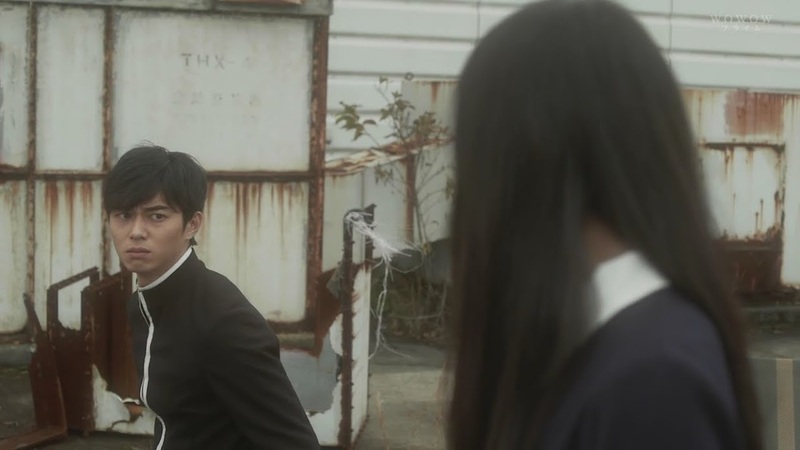 Jorogumo keeps an eye on him and Watanuki pulls out Himawari’s ribbon. The girls flee off the bed leaving him alone. Watanuki crawls to the end of the bed and says that the ribbon’s owner is a liar. He then sits on the end of the bed. She told him a story the other day, you know. We then flashback to Tsubaki’s tale that Himawari told. Watanuki repeats the story and then says that Tsubaki doesn’t exist as Tsubaki is none other than Himawari hreself. We then cut to Watanuki on his rooftop looking down at the crying Himawari holding her dead puppy. He didn’t know her name at the time, but that they were both stray people. He clutches her ribbon tightly in his hand and says that from that day on, her smile meant everything to him. To keep her smiling face, he would even risk his life. Jorogumo laughs at this an then her face (and the room) darkens. That type of story is the type she hates the most. Yuko has finally gotten the water mirror to work. So the Jorogumo (queen of the spider world) set a trap for Watanuki in front of the shop. Her goal? Watanuki’s soul. This worries the two little girls. Yuko then says that they lust after Watanuki’s soul in that world. Such a tasty meal is a rare treat for them. Back in the spider’s layer, Jorogumo tells Watanuki that Kunogi Himawari has dirty blood and leads others into disaster. Since Watanuki met this sunflower, he’s had nothing but misfortune. Another pain in his head. 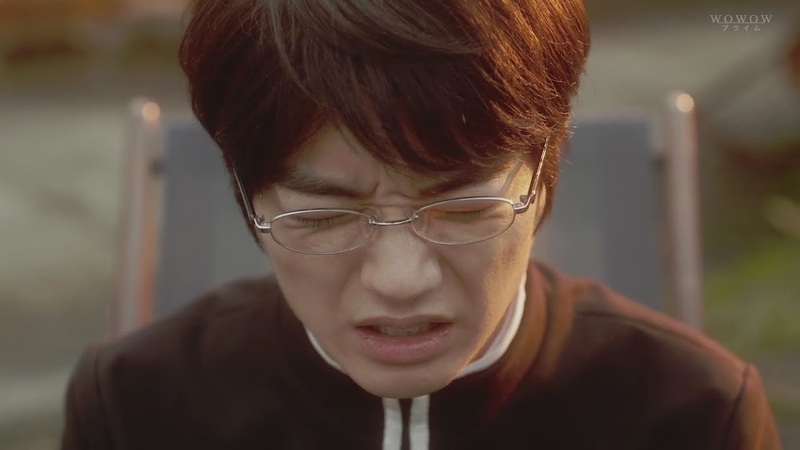 Watanuki shakes his head and says Jorogumo is wrong. 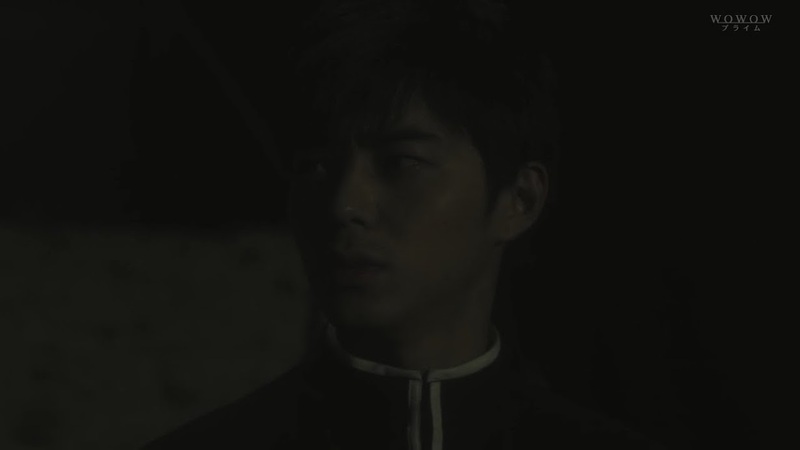 Jorogumo then reminds him about the accident in the first episode, the incident with the monkey’s paw, and the 100 Ghost Stories. Jorogumo then slams her goblet down and gets up. Thanks to Himawari, Watanuki nearly died countless times all because she merely talked to him or touched him. While Jorogumo keeps listing all these incidents, Watanuki keeps his eyes firmly closed and shakes his head. When Jorogumo says she cannot touch Himawari’s bloodstained ribbons, Watanuki throws himself down on the bed and says it isn’t true. Jorogumo yells that it is true and crawls over to him. Remember her bus story? Thanks to Himawari a lot of people ended up dead. Watanuki says that isn’t true, but Jorogumo whispers in his ear that the one he loves is a monster. Watanuki falls from the bed and staggers to his feet. He stumbles as he tries to walk away. Jorogumo nods her head and he is attacked by webs. 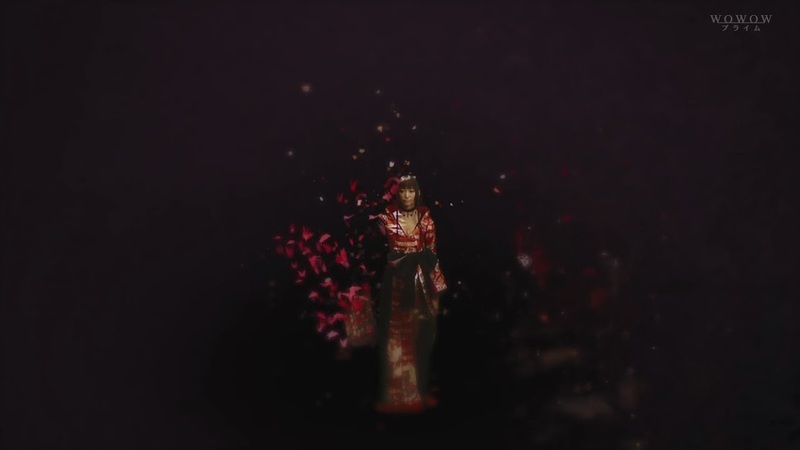 It was a really cheesy shadow play effect at first that was soooooo horrible. Watanuki falls to his feet in pain. At this time, Domeki comes across the door with the spider web and his spidey senses start tingling. 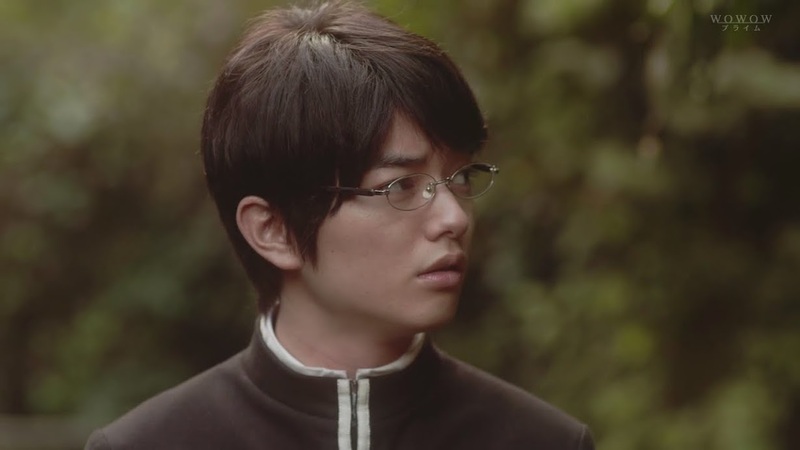 He then sees Watanuki’s glasses lying just outside the door. Domeki reaches out his hand and touches the web. Like Watanuki, Domeki is transported to the lair of the Jorogumo. 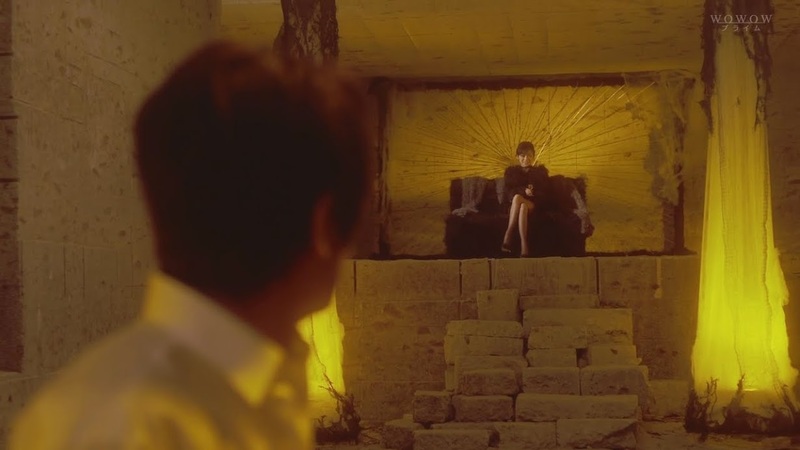 The spider queen is standing over the inert Watanuki still disparaging Himawari who made friends with him knowing that she’d make the boy unhappy. Watanuki keeps insisting that isn’t true and Jorogumo keeps insisting that it is. She kneels on top of him and says that Himawari not telling Watanuki is akin to lying to him. Watanuki says that Himawari is not that kind of evil girl. The Jorogumo says again that he has beautiful eyes. She then springs up and summons a sharp blade. Watanuki struggles to escape, but can’t. She asks him again to surrender the ribbons as she is very hungry. She then taps the needle into his chest causing Watanuki to scream in pain. Domeki hears his cries and runs towards the screams. Meanwhile, Maru and Moro worry that Watanuki will die at this rate. Yuko looks up from the mirror with…a rather ambiguous expression. The next episode will be just as intense. What shall happen? It almost feels like the next episode should be the final one. I can’t wait to see how the drama decides to finish the story line as they have diverged quite a bit from the manga now. Totally off topic, but I kept thinking of two things while watching this episode—Harry Potter and Percy Jackson. Why? 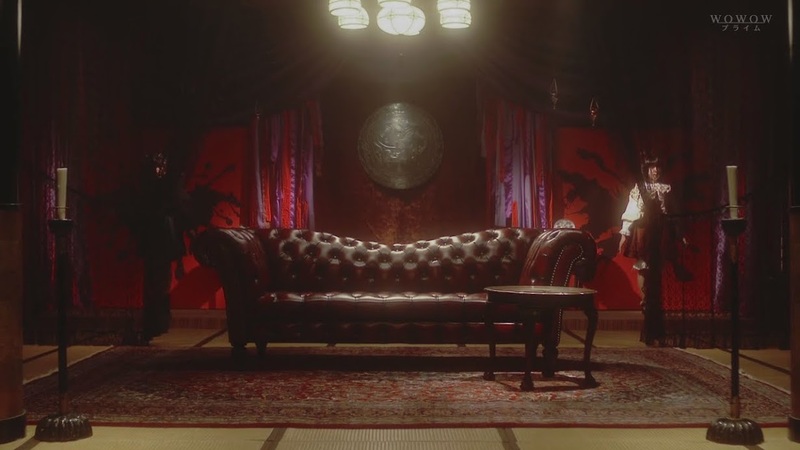 The whole Jorogumo layer scenes kind of remind me of the casino scene from Percy Jackson when the casino was the Land of the Lotus Easters. And why Harry Potter? Know I keep thinking of Yuko’s shop kind of being like the Room of Requirement. My mind works in funny ways, okay? I had to restrain myself from reading your recap until after I finished watching the episode. And OMG!!!!!!!!!!!!!!!! I LOVED THIS EPISODE!!!!! Now that you mention it though….yes it is a drastic change with the more mature tones O________O A VERY drastic change. But I thought that it was to show how sly and enchanting Jorogumo is? She is luring him over to the dark side so she is more risque? Anyways..if they had Yuko being this touchy feely with Watanuki I would probably be a bit freaked out. 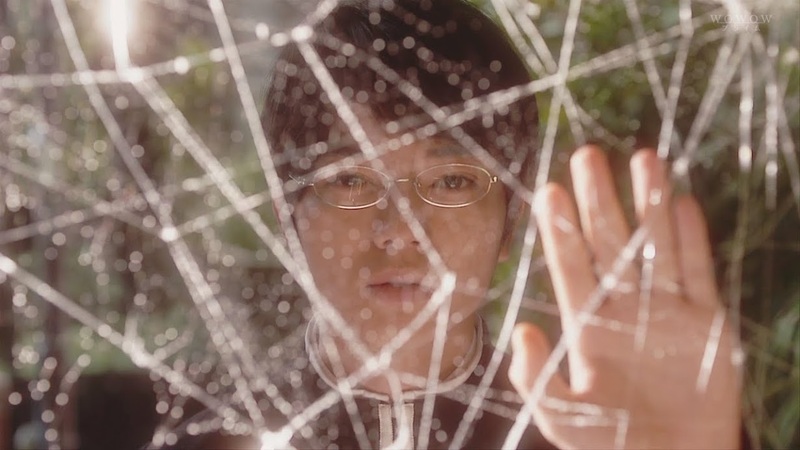 And I am glad you pointed out the really cheesy effect when Jorogumo traps Watanuki with her spider web. WHY did they even bother including that? Oh, yes, this episode has more than made up for the lagginess of the prior episodes. Not that they were bad. They were just a little slow, but they did serve a purpose. xxxHOLIC has a darker plot, but nothing really seemed to stand out as being very dark or mature and then WHAM in this episode. I agree that I don’t think I’d like Yuko to be as overt as our Jorogumo. I’ve seen such effects before in various movies and dramas. Sometimes they work, sometimes they don’t. This time…utter failure and it didn’t need to be included. Oh well. I’m anxiously awaiting episode 7 now. I’m curious how this whole story shall play out. Hi there heisui! 🙂 I have no idea about the background of xxxholic, so it’s great that you mentioned about the Jorogumo’s character in more details. I also love this last episode, and think it’s the best among all. 🙂 AND the pacing… just about perfect… which really made up for the other episodes. Hello! I just visited your blog and it is so impressive! O_O Not sure if you will get this reply but if you do, is there a way to comment on your blog without using fb/aol/hotmail/yahoo account? I just read your review/recap and it’s very insightful! 🙂 I was a bit lost with some of the details but you made it clear to me – esp Himawari’s seemingly cursed relationship with everyone she loves. I don’t like her that’s why maybe I did not focus on her character as I should. 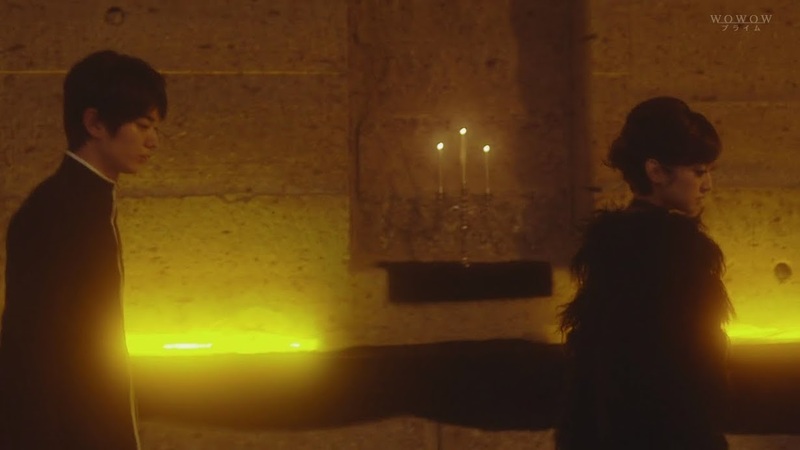 Yeah, I don’t think I’ll ever be a fan of the live action Himawari for some reason. Although I did like her in the manga. I’m glad my recap could help you with some of the details. I did finally finish the entire series last summer. Unfortunately, its a bit hazy, so I did not notice that 😦 It would probably take another read through to completely familiarize myself with everything and I already gave the series back to the friend I borrowed it from, but it doesn’t surprise me if they took a parallel story line and applied it to HimawarixWatanuki instead of DomekixWatanuki. OMG NEENEE!!!!! EPISODE 7 IS SO GOOD!! I CAN’T WAIT FOR YOUR RECAP!!! !